Family, fierce conversations, the inner journey, magnolia trees, buddhism, Biffy Clyro, break-through moments, In Flames, yoga, the sea. To fully express my purpose to create an inclusive and sustainable world I’ve partnered with Oxford Leadership to facilitate transformational change in large international companies on the theme of ‘Purpose Beyond Profit’. Close to 300 000 executives have been on our Self-Managing Leadership ® to gain clarity on their individual purpose and link that to the corporate purpose. We then typically take the leadership through a Strategic Focusing ® workshop to identify the key goals and make action plans for the few things that will make the biggest difference for the company going forward. Few things are as inspiring as helping people progressively pursue their meaningful idea. Drawing on my corporate and entrepreneurial experience and professional coaching training with International Coach Federation I work with corporate executives and entrepreneurs to help them reconnect with, trust and follow their inner compass. I have +15 years in large international IT and telco companies. My last corporate position was to manage Juniper Networks’ alliance with IBM in the Nordics, Central & Eastern Europe and in the Middle East. I enjoyed this as it was strategic work helping both Juniper and IBM colleagues, from client facing to executives, to multiply our joint opportunity. The key challenge was to create a desire to break out of the habitual choices of sales approaches, solutions and partners and demonstrate our unparalleled customer value-add when we went as one team. 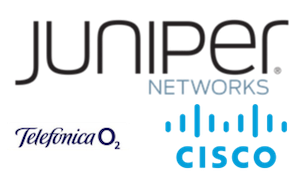 Before Juniper Networks I worked with strategy for Telefonica Czech Republic and sales for Cisco Systems. What some call “news” report a pretty distressful view of the world. It’s about wars, violence, famine and climate change. Then it’s all sprinkled with the message that you’re not good enough – you should be richer and more beautiful because that’s become the definition of success. Fear and the feeling of inferiority is a lethal mix – in global politics and within the local community. What’s going on the in the world today is fuelled by this vicious circle of fear, inferiority, ignorance and isolation. The thing is that deep down nobody wants this. People want to be safe, belong, love, laugh and hand over a better world to their children. 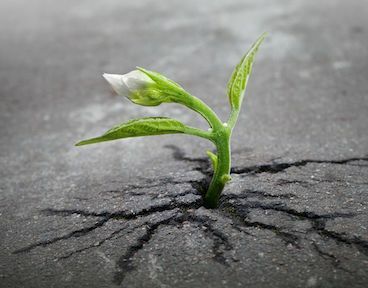 It takes courage to live in a spirit of inclusion and sustainability when the rest of the world seem to be based on exclusion and scarcity. That courage can only come from within, by getting to know yourself and choose to live true to yourself.